bring you all happiness ! 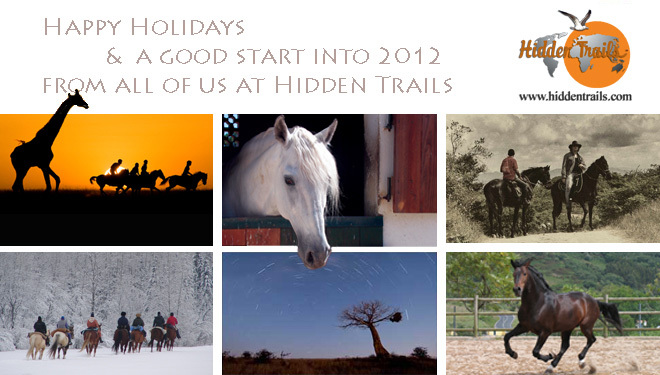 The staff at Hidden Trails wishes all of you relaxing and merry festivities - whatever you will be celebrating. This is a time to reflect, give lots of love and set new goals for the upcoming year. Our company's goal for next year is to be the best we can be for you. 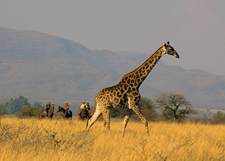 As always we strive to offer the widest selection of trips all over the world at the most competive rates. We continuously work on making the search for your perfect trip as easy as possible and improve the reservation process for you. For all of you that are on Facebook - an easy way to follow us with new Specail Offers, new Slide Shows or Videos ... become a fan of our "Facebook Page" - we already have close to 12.000 followers! 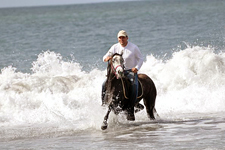 It is no secret that I am a big fan of riding vacations in Mexico. 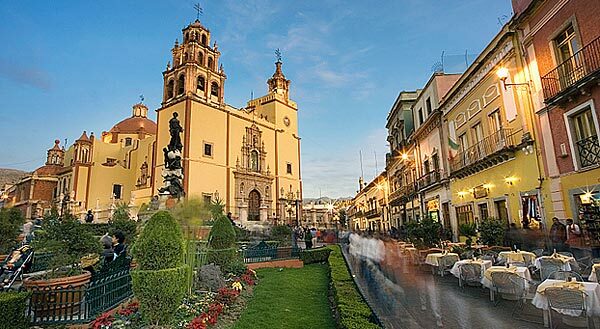 I did updated you on my recent trips across the country and finally we do have 2 new exciting trips online -- next to several first class rides that we have been offering for years now - so take a look and give Mexico a try again - you will love it ! 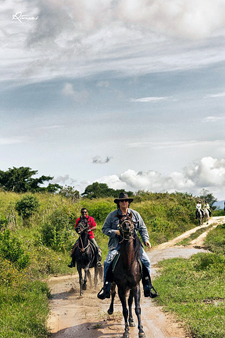 A unique horseback trip that takes you through the heart of Mexico’s colonial heritage, while being surrounded by the natural beauty of the central highlands. 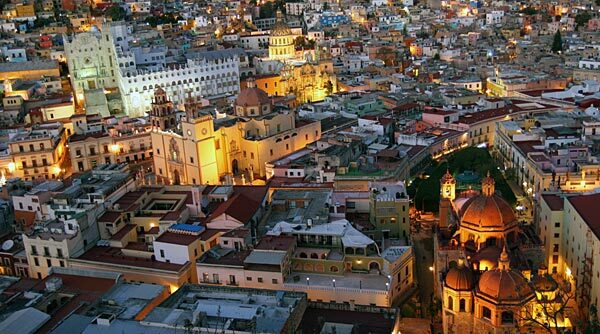 Our journey begins in the UNESCO World Heritage town of Guanajuato and ends in the romatice small town of San Miguel de Allende. 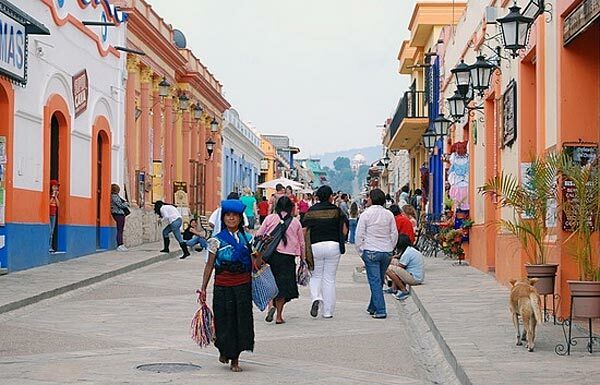 The ride leads us through ancient routes, as we pass by mountains, forests, areas of great biodiversity as well as agricultural landscape - with overnights at boutique hotels and colonial haciendas. 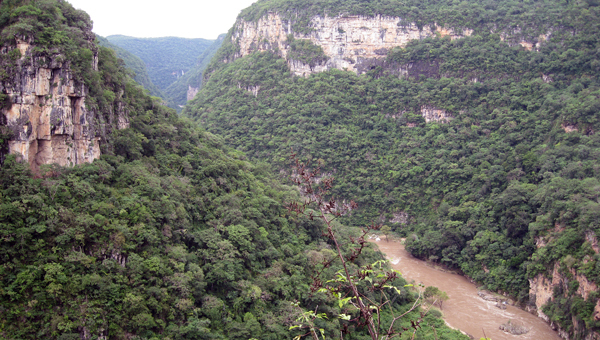 Chiapas, once part of Guatemala, is the southernmost state of Mexico and the stage of our new unique riding adventure. 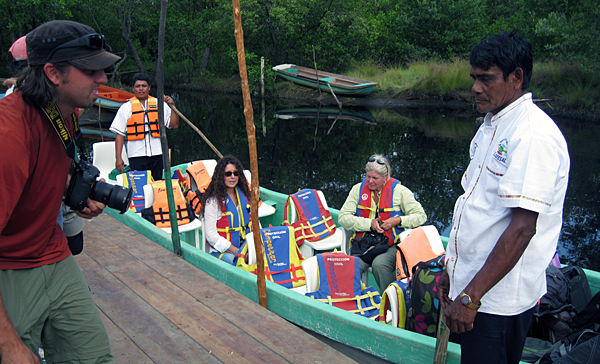 It is an area full of historic sites of pre-Columbian Mayan civilizations. 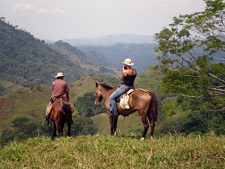 Here we explore canyons, canter across dirt roads of large hacienda estates, ride through the forests of the highlands and on hidden steep trails that lead us through tropical vegetation down to the coast - ending up on the pristine beaches of the Pacific. 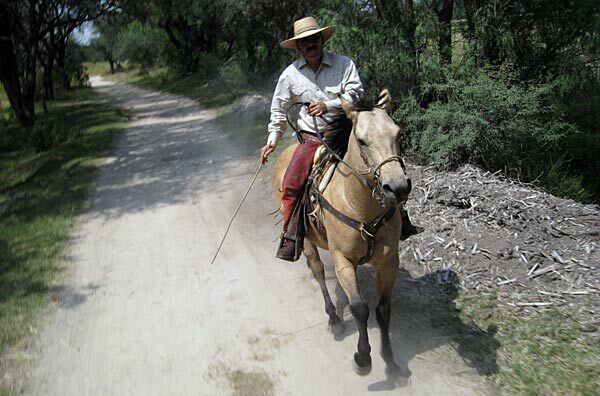 My adventures began when I first came to Rancho Mexicana on vacation through Hidden Trails. I owe Ryan and his team a big thank you for truly helping me find the perfect vacation and new lifestyle. I was a 4th year university student who had come to the ranch during my spring break. After I had finished writing my final set of exams, only 3 months after my last vacation, I could not wait any longer and had to come back to the ranch for a short vacation. I realized that I was going to be beginning my career and would not have much time to escape after this. The flight is nice and short and made it an easy getaway for me for a 4 nights 5 days. After my second visit to the ranch I could not imagine going back to Canada to live. While I was here on vacation for the second time I was talking with the owner of the ranch, Uschi. Here she was explaining the new and upcoming upgrade to the ranch. I was fascinated in the progress since I was here three months before and had seen the changes already. Since I was so interested in the ranch Uschi jokingly said to me that I should stay here and work for her. I nonchalantly replied if she were serious I would be here in a heartbeat. At that moment we both looked at each other. Serious or not… but here I am  and I am not regretting it. 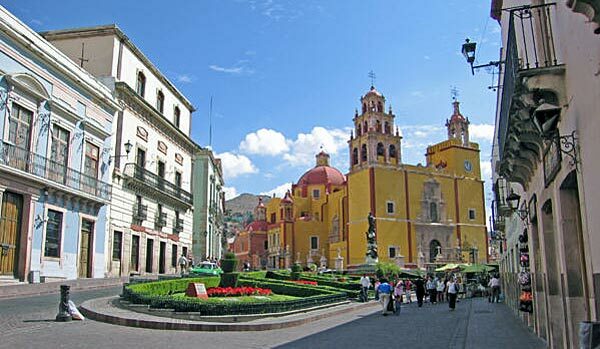 I have traveled many places around Mexico for example Playa Del Carmen and Cozumel. There weather there was always hot and humid. Exactly what I thought I wanted when I was on vacation from the great Canadian winters. However when I came to the ranch that view changed, the weather is perfect here, we get the sun of the coast without the heat and the humidity. Also another added bonus about this area is that there are no bugs, any “bush” trail rider is in heaven! 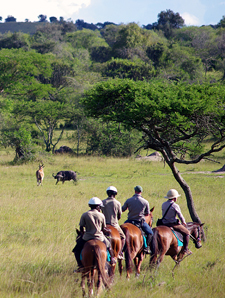 The most important part is the riding, there is nowhere else that you can experience this type of riding. Well what can I say; when we say unlimited riding we mean it. I have been here for 6 months, I ride approximately 3 to 4 times a week and there are still new places that we are discovering to ride. 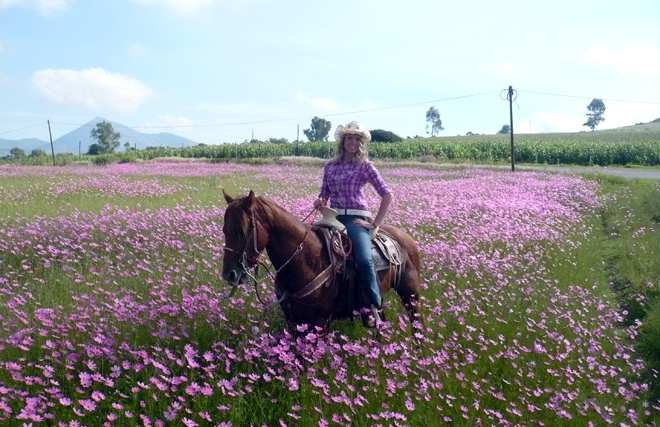 There are hundreds of reasons why I chose to stay in Mexico at the ranch; the people, culture, hospitality and of course the riding just to name a few. As mentioned above I have been here at the ranch for 7 months and I love everything about it. I am in charge of reservation and Guest Services and it is such a great job to attend to so many happy guests. 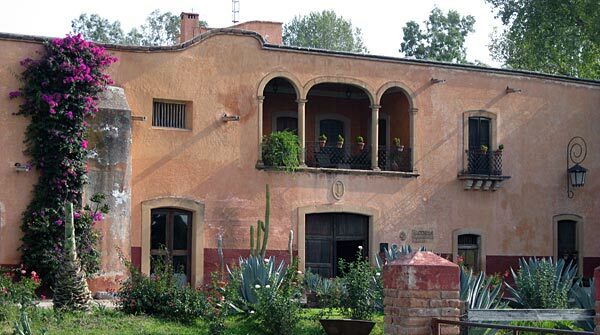 Here at Rancho Mexicana, I have found a true place that I can call home! Southern Spain really is a horse lover’s heaven. There are more equestrian experts in Spain than in any other country in the world, and the Spanish are steeped in the culture of the horse. The most famous Spanish export has to be the Andalucian breed, and the region offers a huge range of horse riding holidays, from mountain treks to beach riding. So while you’re considering where to go on holiday this year, spare a thought for this beautiful region and read a little about the history of the Andalucian horse, who may be more closely related to your own horses than you realize. The history of the pure bred Andalucían horse goes back centuries, to the time of the Roman conquests of Spain, around 200 BC. The conquerors of Spain can be found writing in praise of the strength and agility of the native breed, and the animal was cross-bred with Arab and Berber breeds. After the departure of the Moors in the 15th Century the breed was more popular than ever. They were exported to the New World; they were bred with British horses to create the Cleveland Bay, the Connemara of Ireland and almost certainly the Welsh Cob. The Andalucian genes were used in the development of many other breeds, in many countries, including the Neapolitan, the Kladruber from Austria and the Frederiksborg of Denmark. They were also used to develop the famous Lipizzaner breed, used in Vienna. The Andalucían horse is naturally elegant, with a tendency to hold its head high, on a short arched neck, with a long flowing mane and perfect proportions in the body. They are capable of balletic grace, and are known for their intelligence and determination in learning, which combines with a gentle and affectionate nature, making him a favourite with many horse lovers. Beauty and intelligence make a seductive pairing in any horse, and the Andalucian is sought after as a carriage horse and as an haute école parade specimen. 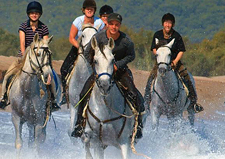 Spain is well known for the quality of its equestrian holidays. It combines glorious weather with beautiful countryside, along with superb horse breeds and a people so welcoming and accepting of all things equestrian that it really is a horse-lovers paradise. The countryside is dotted with cork forests, and the valleys are filled with almond blossom in Spring. 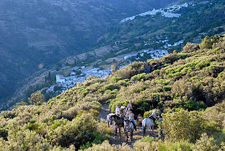 You can trek the mountains of the Sierra Nevada or ride in the Alpujarra hills. 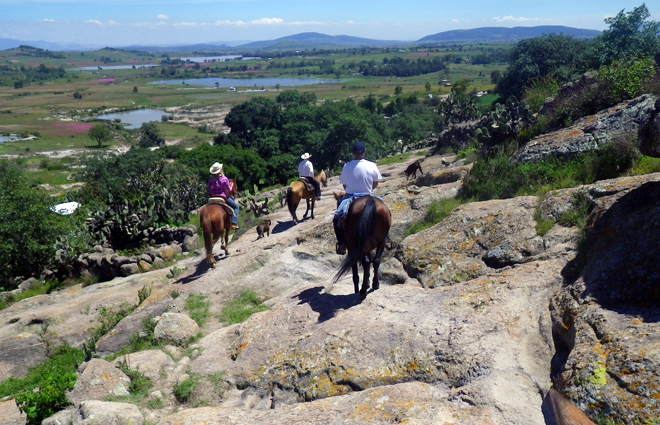 Horse riding holidays in Spain are ideal for both beginners and more accomplished riders, with a wide range of treks available, from short hacks to longer trail rides that extend over several days. 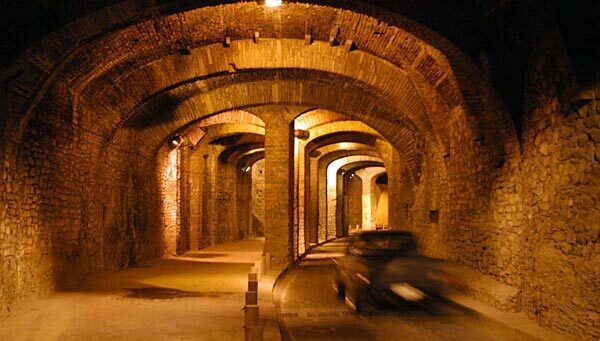 There is the beautiful Doñana National Park to explore, and equestrian events to visit. If your passion is for dressage and you want to experience some really advanced techniques, with highly qualified instructors, can find this type of holiday too. It is a great way of really coming to understand the Andalucian horse at its finest. 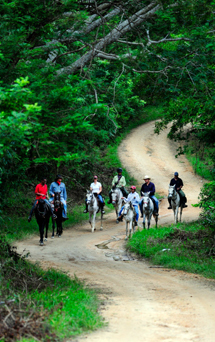 Horses on holidays like this are unlike any you will have ridden before. Alternatively you might like to find a holiday nearer to the coast, and ride along beaches like Cape Trafalgar and El Palmar. These beaches stretch for 10 miles and are a fantastic wide-open location where you can allow your horse to gallop along the sands. 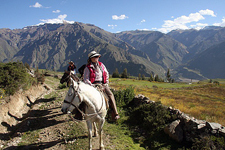 If you like a fast pace and are confident in the saddle then this sort of holiday is perfect for you. 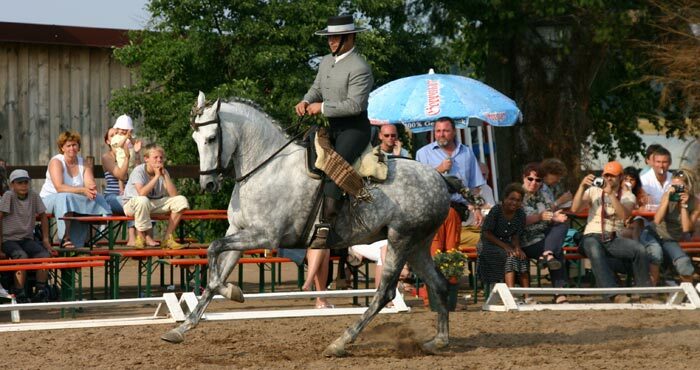 Perhaps the most famous equestrian event in the south is to be found in Jerez de la Frontera, and is called the Real Escuela del Arte Andaluz. 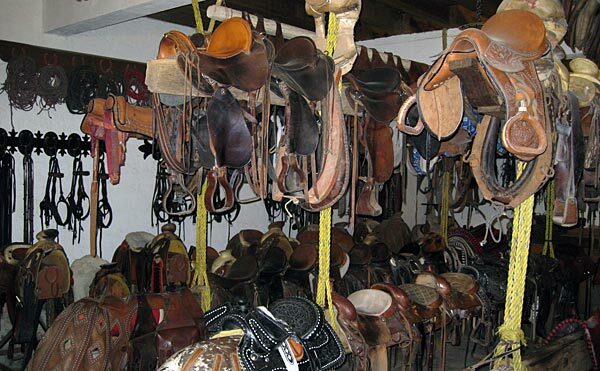 It is similar to the Spanish Riding School displays, and certainly one to include in your itinerary. You can take a tour of the stables and tack rooms, which are spectacular. Some of the tack is a century old, but still being used. Shows are on Tuesdays and Thursdays. On other days you can visit and watch the training sessions, which is highly instructive. Anyone with an interest in classical dressage will enjoy this excursion, and it’s a good opportunity to witness some of the finest horses and riders in the world. During the Feria de Caballo you can even participate in the parade on horseback. For a non riding holiday, have a look at the P & O cruises 2013. Do you remember the scene in Jerry Maguire where Tom Cruise makes that lengthy, heartfelt speech to Renée Zellweger and she interrupts him with a teary: “Shut up. 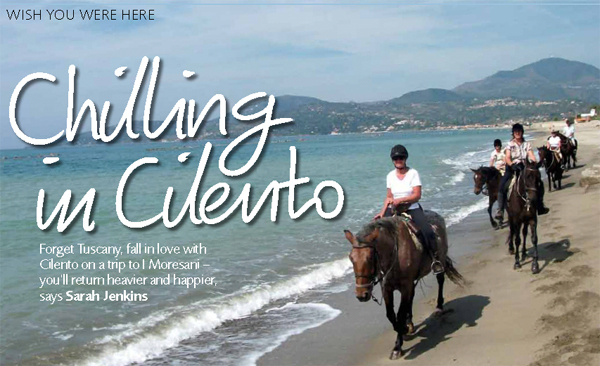 You had me at hello.” It was like that for me in Cilento, Italy. The place kept on giving me reasons to fall in love with it – the vistas, the horses, the people, the food – but ultimately, I was convinced from the moment I arrived. The place had me at hello – or ciao, I suppose. Why? Well I’ll start with the people. I arrived at Naples airport late, but owner Gino Fedullo was there to meet me and two other guests – Barbara and Robert. Becoming part of a group on trips is an obvious benefit. You eat every meal together – in this case along with our guide, Marco Proccedo, and Swedish gap-year student Ellinor – and even as a lone traveler I laughed as I would with old friends. Gino couldn’t be more hospitable, nor could his wife, mother-in-law and brothers-in-law – who all play their part on the farm or in the restaurant. I should say “in-love” really, rather than “in-law”, as they did – isn’t everything so much more romantic in Italian? We stopped on top of a hill, by the convent of San Francesco, where Gino was waiting for us with the first of many monumental picnics. The food at lunch, just like dinner, kept on coming – vegetables, cheese, kebabs. On this note, I have a confession to make. One lunchtime, following a long canter through a field of 500 century-old trees, in a sun-drenched olive grove, I ate my bodyweight in to be 1,000 calories. The food is something else, with the majority made at the farm. Goats, boar, cattle, and chickens are reared, and a plethora of vegetables and fruits are grown all around the villas in which you stay. I digress, I didn’t come here to eat, I came to ride – and it’s a good job, since five hours a day in the saddle and a few laps of the pool kept the kilos at bay. Full (a sensation you get used to here), we rode on to Celso, a little town cut into the hillside in 1050, where our horses wandered through the narrow cobbled streets. Meandering back towards home brought new meaning to the term “winding down”, and by the time I reached the dinner table – via the swimming pool – I was relaxed. Gino threw a party, complete with live local pop folk band, and the vino and laughs flowed between dances. During the ride, Marco had passed me a handful of crushed myrtle he’d picked off the plant and that evening we drank homemade myrtle liquor. Later, he sent my way a fistful of finocchi (fennel) – the basis for the following night’s tipple. – Marco went ahead with a long stick to check the water wasn’t too deep. The smell of the herbs under the horse’s hooves was intense – at one point, in the dewy shrubbery, it felt like I was wandering through a Mojito. That went down like a lead balloon. He was only partly lying, but boy was it worth it when we peaked – as Robert said: “Prettier than our Newcastle”. We set the horses loose in the walled fortress while we had our picnic. They gallivanted around threatening to jump the table before resting in the shade. Looking back at how far we’d come, it felt like a serious achievement (even more so for the horses). That’s the great thing about this trip; it’s a mini adventure. You get that buzz, but not at the expense of fear or danger, which is surely the best kind of escapade. Next day, we started heading for the mountains, so I had another go at getting the point across about my fear of heights. When the penny dropped, moment’s concern. The following day’s ride took us 750m above sea level, along the crest of Mount Stella, towards the town of the same name, so called for its star shape. The view from here I’d have tackled arachnophobia for. On our final two days, we headed to the beach, which we would have done sooner had the tides allowed it. Having looked from our vantage points over to the sea on the past few rides, it was wonderful during those hot days to make it down to the sand and dip the horses’ hooves in the waves. In the refreshing breeze, I plotted to smuggle Velia away and move to Cornwall, so I could do this every day. In fact, why stop at Cornwall? The climate in Cilento is ideal for riding. Only on day two of our trip did the rain come down – for the first time in three months. It made up for lost time with a deluge. The horses were tacked up, but us fair-weather riders opted to make this our rest day. 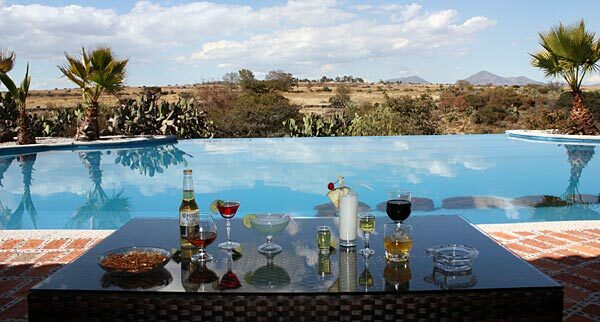 We weren’t bored, with cookery lessons, trips to Pompeii or Greek ruins at Velia in the offing. I chose the latter, and Ellinor amazed as a tour guide at the site we would later canter by. I didn’t want to leave. The experience lifted me out of the daily grind and gave me renewed spark. I hope to go back before that fades. In the meantime, I’m riding as much as possible in a two-point position, eating copious amounts of mozzarella, and rolling the “R”s in names like “Barbara” – just to remember. Cilento, is a two-hour drive south of Naples. This ride is suitable for intermediate to experienced riders, though there is plenty to entertain non-riding family members, such as walking, cycling and cookery. All meals, including wine, are included. Riding runs from March to May and September to November. 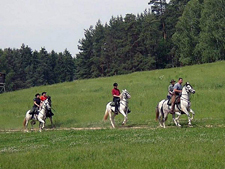 Riders enjoy seven nights, including five days riding for about five hours a day. The price is about $1265 for the week. 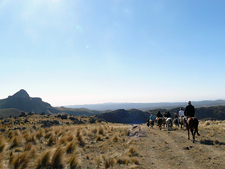 In 2012 there is also a progressive riding tour offered (April, May, Sept and Oct). This trip ventures even more into the back country and the park with some overnights along the way. Cost for this ride is about $2190. Experiencing Albania as Lord Byron did 200 years ago. When night fell, they would read Lord Byron’s poetry and excerpts from the diary of his friend, John Cam Hobhouse. When the sun rose, they would jump on their horses and rode the paths the British poet took in 1809 in southern Albania. This was the premise of the 10-day horseback riding expedition, the first of its kind ever organised in the country by the Albanian historian, journalist and tourism promoter, A Tare. 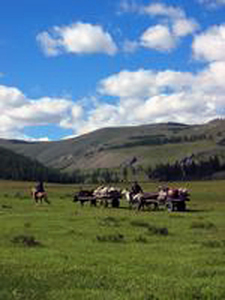 The expedition took place in mid-July 2011. Fourteen professional and amateur British riders participated. Among the participants was Alexandra Mommersteeg, who is known in the UK for organizing the Royal Ascot, a race opened by the Queen of England and attended by many British notables. A passionate scholar of the relationship Lord Byron had with Albania, Tare recently came up with the idea to promote the cultural and historical tourism of a few Albanian areas not typically on the traditional tourist route. Tare had long considered how to advance tourism in the southern town of Gjirokastra. 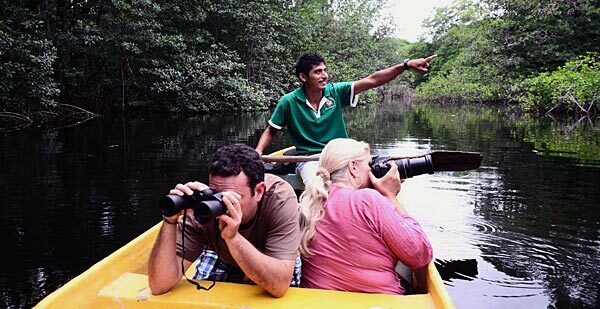 “Tourists sightsee here for one day and then they leave. So, I was thinking how to prolong this experience. And I thought of Drinos Valley in Gjirokastra and how it can be used for horseback riding tours in the search for Lord Byron. The idea thrilled me,”43-year-old Tare told Southeast Europe: People and Culture. 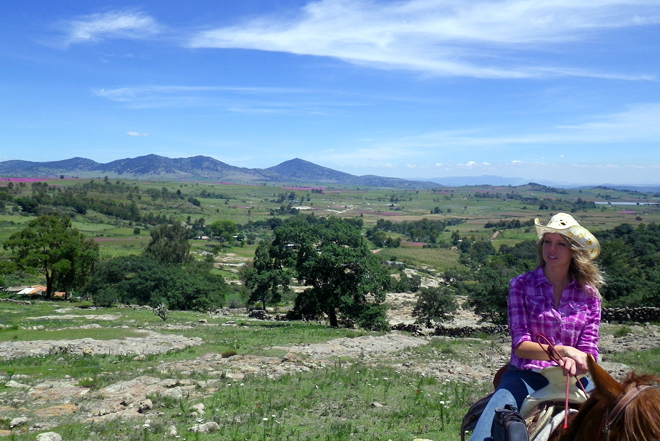 A horseback tour of Albania offers amazing views of the mountains and plains. As Lord Byron did 202 years ago, the expedition participants rode through the range of mountains of Lunxhëria to reach Tepelena, in southern Albania. 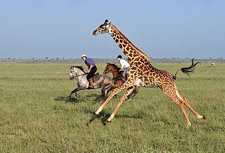 The process of finding ‘suitable’ horses for the expedition was not an easy task for Tare. 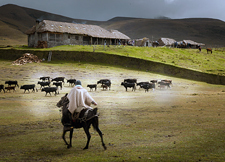 “I spent time searching these horses from one village to the other. The British cannot ride just any horses. They have a deep respect for the animals,” he said. 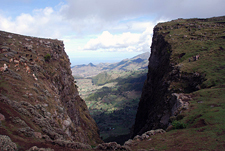 Tare had ridden through the Drinos Valley himself many times before. 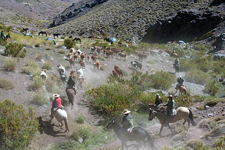 In 2007 Tare crossed the Drinos Valley with the renowned British horseman and writer, Robin Hanbury-Tenison. One year later, the actor Rupert Everett arrived in Albania to make a documentary on Lord Byron’s journey throughout the region for British Television’s “Channel Four.” “All in all, it was an extraordinary experience. Everything went perfectly. It was interesting to see that not much had changed in two centuries,” said Tare with a laugh. 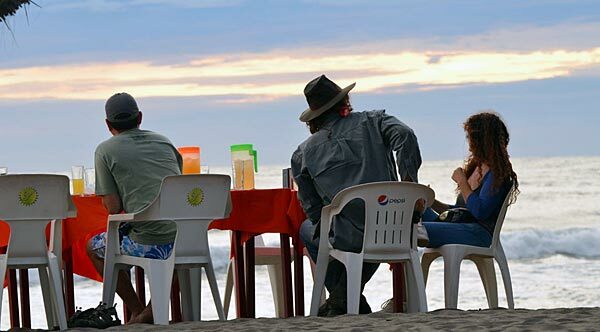 The trips have proven to be an economic asset, as the expedition participants frequented local bars, restaurants and hotels. They participants had the opportunity to taste Albanian food and experience all that the local nature has to offer. 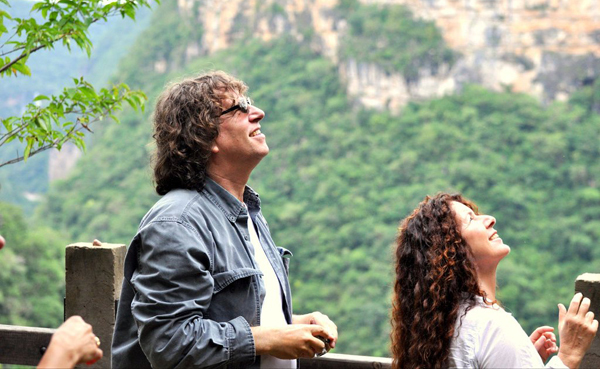 Tare has planned to turn this kind of expedition into a tradition. “Next year, we have planned to do the same but with four groups,” he said. Furthermore, his idea is to follow a different itinerary: “We will meet all in the Greek town of Ioannina and walk down to Tepelena, thereby invoking the feeling of travelling by caravans,” he said. Tare has also played a key role in establishing the Butrint National Park, in southwest Albania, which is part of the UNESCO World Heritage sites, alongside with the cities of Gjirokastra and Berat. 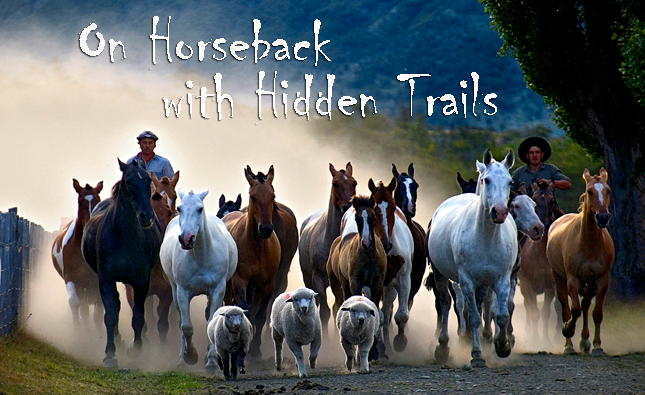 For more information, check out the Hidden Trails website for tour details with rates and dates of rides in Albania.